You Could Win! Free Ammo For A Year! Celebrate the launch of the Widener’s Blog with us! Subscribe to our newsletter above to enter the contest and get new articles and content sent directly to your inbox. 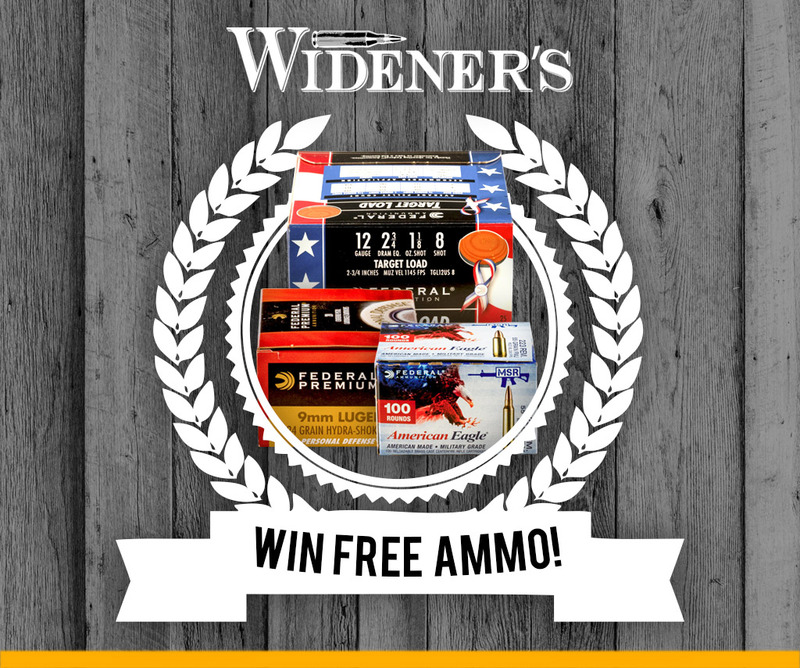 One lucky Widener’s fan will win FREE AMMO FOR A YEAR* in our giveaway! To be eligible, you must be 21 years old, reside in an unrestricted jurisdiction, and all ammunition transfers will be conducted in accordance with Wideners’ Shipping & Other Policies. The deadline to enter is October 31st, 2018. There is no purchase necessary to win this contest. The grand prize has a gift card value of $1,500. The winner will be chosen via random drawing. Odds of winning depend upon the number of entrants. 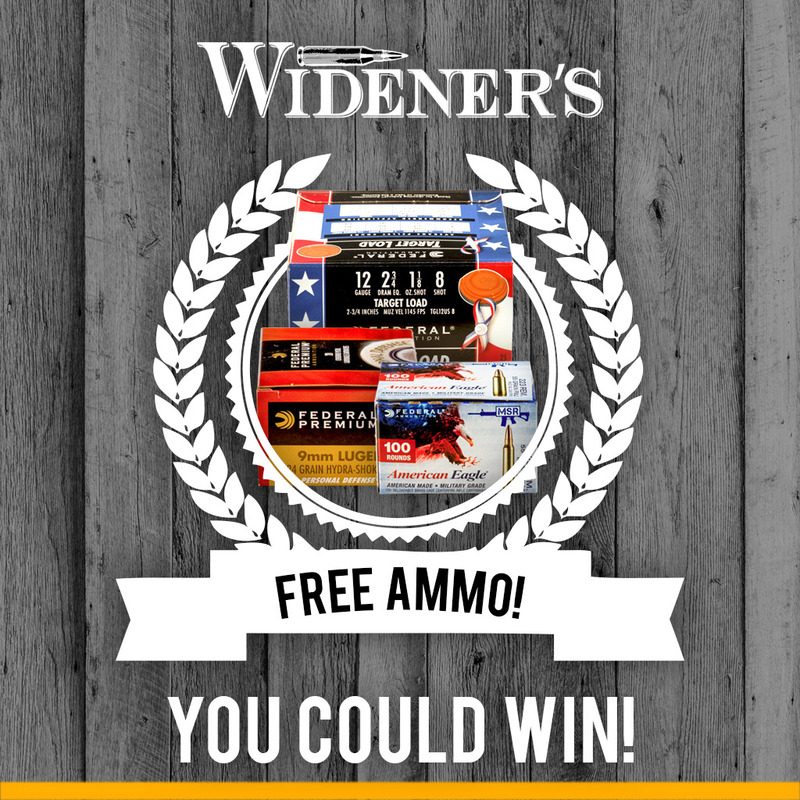 This sweepstakes is void where prohibited and is sponsored by Wideners.com. Reach us at wideners@wideners.com. Winning constitutes the Winner’s permission for Widener’s to use the Winner’s name, image, hometown, likeness, prize won, and photograph for future marketing now or hereafter in perpetuity, without additional compensation, notification, or permission.